Price: $10, or your everlasting soul. 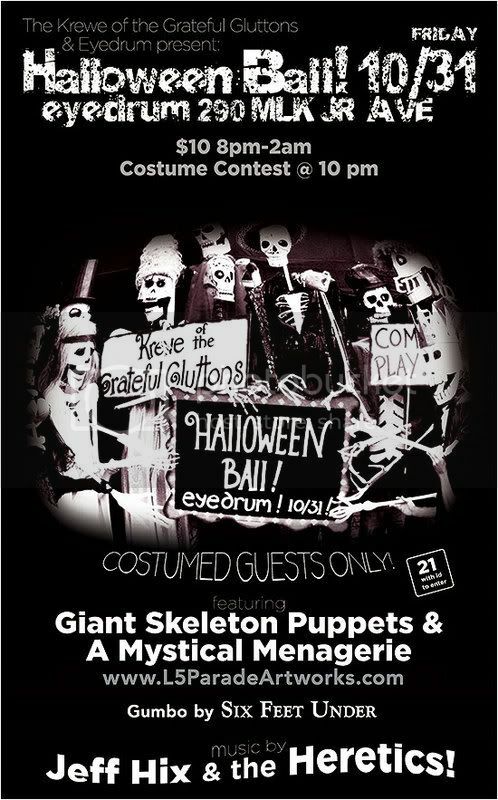 Featuring the Giant Skeleton Puppets and Mystical Menagerie created by L5ParadeArtworks! Jeff Hix and the Heretics! Categories for People and Puppets!!! Celebrity Judges! Eyedrum and Krewe crafted trophies!